Think Hunger Games. Think in the future (way future) and battle for survival. The rich survive while the poor fight for their lives to be… well, the last one standing. The inner circle is surrounded by a giant wall. Have you ever watched the Avatar cartoon? The “big city” is surrounded by this giant wall to keep the outside world out, separate from the inside world. That’s what we have here. On the inside is the “worthy”. BUT, they are all women. No men. The world is run by women. “Grand Old Dames” to be exact. Hundreds of years old Grand Old Dames because technology. 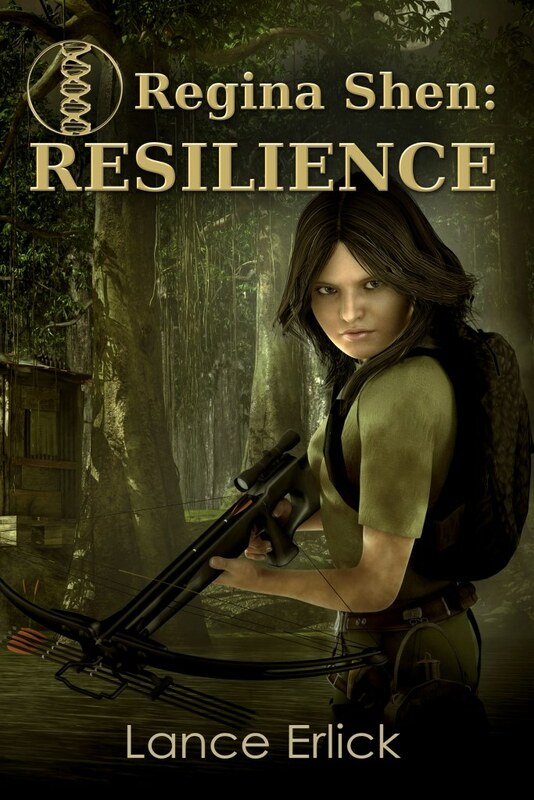 Resilience essentially follows Regina going through a severe thunderstorm that floods the entire swamp, losing her family and everyone else they knew. While trying to survive the swamp and all that comes with it, the flooding, and losing everything (family, home and belongings) she now must remain out of the reach of the Antiquities from the “inner city” who want her unique DNA for breeding. I thoroughly enjoyed following Regina’s adventures and escapes as well as her creativity. I look forward to reading the next books in the series to see what happens to her along the way! This entry was posted in Action/Adventure, Regina Shen Series, Science Fiction, Thrillers, Young Adult and tagged abrupt climate change, dystopian, Regina Shen, review, science fiction, survival, thriller, young adult by flwq1578. Bookmark the permalink.